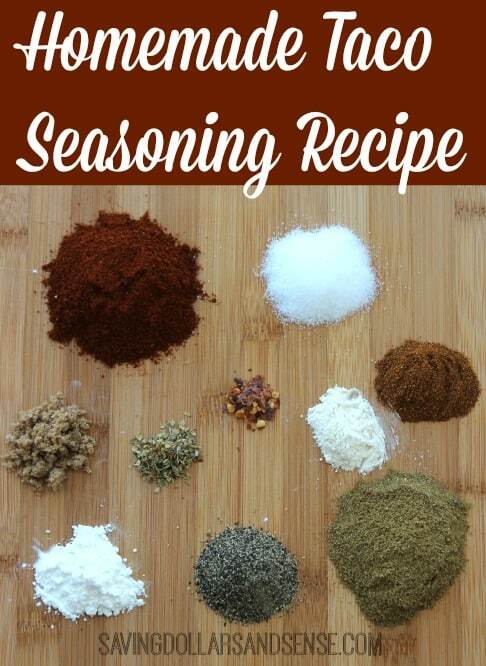 This Homemade Taco Seasoning Mix is so easy to make and have on hand. Plus you are able to get rid of the high levels of salt and other garbage found in the individual packages you can buy at the store. This + 1/2 cup water for 1-2 lb of ground meat.